There are very many decoration items that people use in the offices and their houses, some which are installed, mounted on walls or simply placed on surfaces. 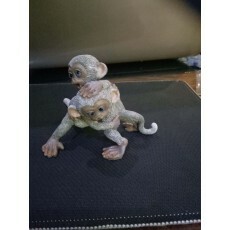 Tabletop crafts which include two monkeys resin toy are among the items that you can place in your house or office to add a touch of beauty. Clients who may have fallen victim to poor quality products can give an ordeal of the loses they encounter, bearing in mind that the items lack the following; Durability, stain resistance ability, the modern touch of beauty, and rigidity. This is why before engaging clients into buying tabletop crafts; they need to be assured of the suitability of what they buy. As one of the best interior decoration shops in Kenya, we do our best to liaise with the most professional and skilled manufactures. With their unique taste and creativity, the two monkeys resin toys they manufacture suit the demands of the client to the fullest.